Rayola has been involved with various aspects of Christian ministry for three decades, which includes overseeing fellowships, conducing retreats, jail ministry, and evangelism. Besides counseling, writing Bible Studies, and teaching, she conducts life-changing seminars. Her discipleship course has been utilized by missionaries, and hundreds of pastors in such places as Africa and India. Rayola is the author of over 53 Christian books, which includes six devotionals written for the purpose of edifying the Body of Christ. 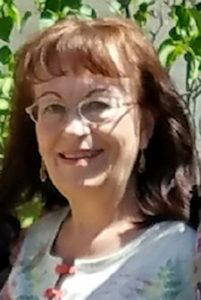 She resides in North Idaho where she continues to share her insightful understanding of the Word of God through teaching, writing and counseling. Jeannette has been a Christian for over six decades and co-founded Gentle Shepherd Ministries with Rayola Kelley in 1989. She has been involved in various types of ministries that include teaching, evangelism, and jail ministry. Although she has lost the use of much of her voice to Spasmodic Dysphonia, she continues to minister to people through her art, writings, and the Internet. She resides in Northern Idaho. 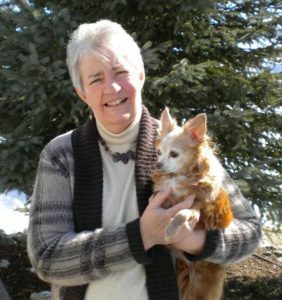 Jeannette has written various Bible Studies for both adults and children, Scriptural commentaries, monthly articles, along with fiction books, such as Interview in Hell, Interview on Earth, Rose of Light, Thorn of Darkness, The Adventures of Zach and Mira, other books for children she has written are Little Stories for Little People, Travelor’s Tales and The Adventures of Paul and Dana (A House on the Beach). Discipleship Course and Books Rayola and Jeannette have co-authored. Free Christian Materials written by both Rayola and Jeannette.